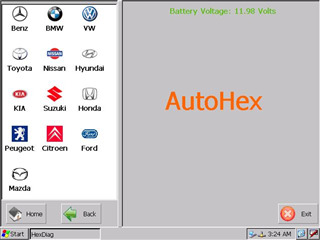 After clicking AutoHex Diagnostic scan tool (HexDiag) TOYOTA Icon, you will enter to the main sub-menu where you can ONE choice ONLY. AutoHex HexDiag TOYOTA LEXUS SCION Software tests car control Unit ECU with full coverage to Read and Erase Fault Codes , Actual values , Actuation , Control Unit Adaptations . 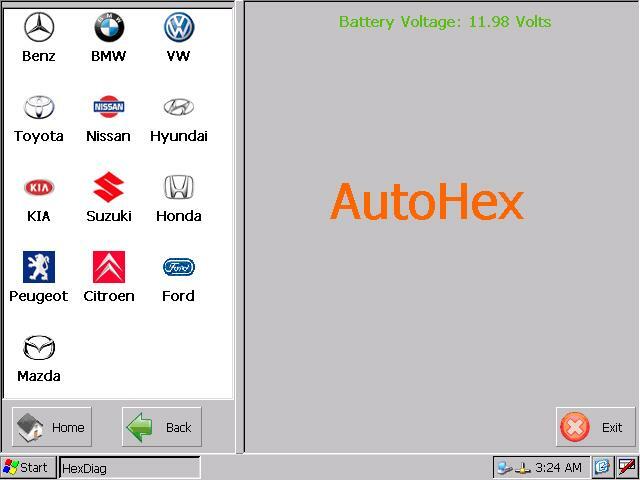 AutoHex HexDiag TOYOTA LEXUS SCION Software tests the actuators and show you the corresponding actual values to show you the effeciency of your test .